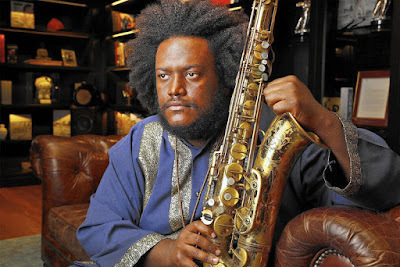 "The line last Thursday to see Kamasi Washington perform at Leimert Park’s the World Stage wasn’t just around the block. It was the block. Organizers for the sort-of secret show, dubbed the Heaven and Earth Block Party in honor of Washington’s new album, roped off the entire back-alley entrance and parking lot of the saxophonist and composer’s old home-base nightclub. They set up couches and an outdoor projection screen for the hundreds of fans who couldn’t fit inside the tiny jazz venue’s main room. 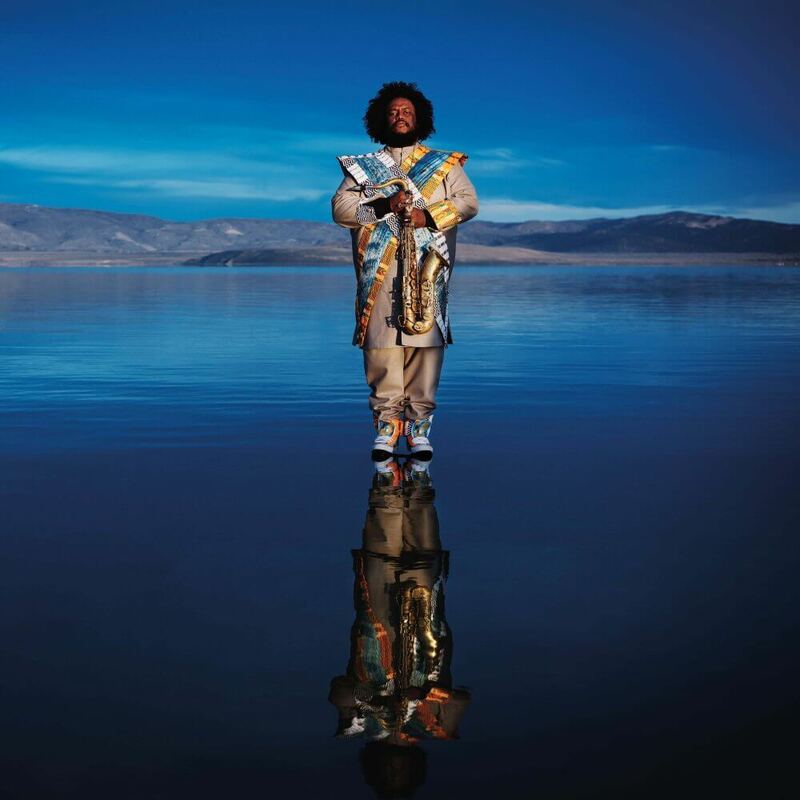 Washington, commanding yet gentle at center stage, led his band of best friends and L.A.’s jazz elite through two different two-hour sets, drawing from his quadruple-LP 'Heaven and Earth,' which was released June 22. The crowd was a mix of veteran L.A. jazz heads, curious hipsters and Leimert Park locals who grew up alongside Washington and this scene. It was sweaty and slammed cheek-to-cheek in a way no one minded. ... The show made the case not just for the continued vitality of L.A. jazz, which has melded with hip-hop, funk and the avant-garde. It was a model for music as the centerpiece of a community. A physical space, but also a mental and spiritual one. That’s the 'Heaven and Earth' of Washington’s album, and in a time when so much of American life seems isolated or irredeemably fractured, it’s a place for hope as well. ..."